Every year, the Steele family celebrates on March 14 with a Mexican Pizza and a Baja Blast at their local Taco Bell. But as we learned from this touching story in central Utah’s The Daily Herald, it’s not because of Pi Day. It’s to remember a lost loved one—and this year, their celebration got an assist from some goodhearted Taco Bell employees. This year, the family received photos of family and friends at Taco Bells around the country, and even in Canada. Nationwide posts were shared on Facebook from New York, Florida, Arizona, Maui, Idaho, Utah and California, among other places. This year would have been Kerry Steele’s 50th birthday. 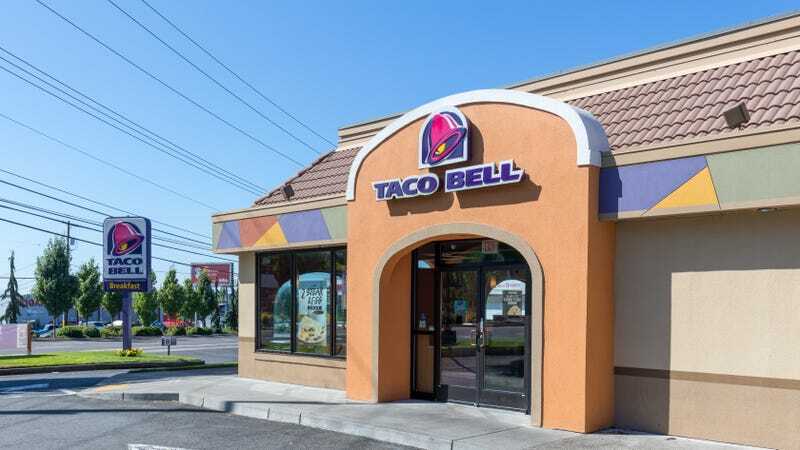 On the morning of the 14th, LaRell Steele visited the Taco Bell at which they planned to celebrate to ask if it was possible to buy any Taco Bell merch for the party. She ended up telling the whole story to the staff, and specifically to Betsy Elias, a shift leader. It’s a very nice story. Give it a click.